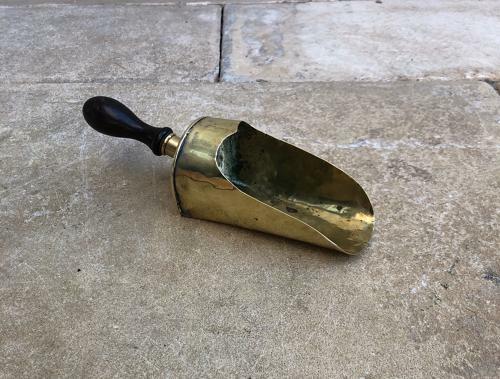 Victorian Shops Brass Scoop with Mahogany Handle. Victorian Quality Brass Shops Scoop. Lovely turned mahogony handle and shaped brass scoop.